CTG has been designing and manufacturing sensors and systems for aquatic environments for over 50 years, which includes developing environmental maritime equipment for Green Shipping Technology. With its historic expertise in fluorometers, phytoplankton and ambient environmental parameters, CTG has developed Sea Sentry for compliance monitoring of wash water from exhaust gas scrubber systems and FastBallast for compliance monitoring of ballast water discharge. CTG is setting the gold standard in delivering monitoring solutions that help owners, operators and regulators ensure that stringent national and IMO compliance standards for wash water from exhaust gas scrubbers and for ballast water discharge are being met. CTG’s North American maritime representative, Richard Burt will be exhibiting at the Green Shipping Technology North America Conference / Shipping 2030, 15-16 November 2017 at the Sheraton New York Times Square Hotel, Manhattan. 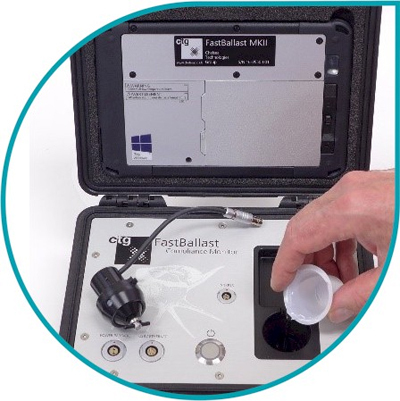 Richard will also be demonstrating the FastBallast: Portable Ballast Water Compliance Monitor on 15th November during the Ballast Water Management Practical Demo session at 14:00 - 14:45.